Sadly I dont know anyone daft/fit/ well equipped enough to come bikepacking with me and there’s tons on my doorstep into the peaks. Long shot but does anyone know any groups that do this, or been looking for a partner? I'm probably not well kitted out enough for winter but keen for some overnighters. Tried (not too hard) to organise one with local fixie group but no beans. Winter might be tough but I know a few people who keep meaning to go on little overnight stays. I want to go wild camp on Longridge Fell, but think I've missed the time of year any of my stuff will keep me alive. How gnarly are we talking too? My MTB is more geared towards dicking about than distance really, but anything can work anywhere. Also not sure my kit would keep me alive in the winter! Yeah, 4 of us rode to Newquay in June, it was great, only weather worries were staying out of the midday sun with ciders though. Which bit of the Peak are you thinking? I'm based in Sheffield, could meet somewhere in the middle? Or somewhere in reach of the Hope Valley train line? Wow didn’t see the replies, sounds positive for spring, I wasn’t really expecting people to turn out now! I’m in Marple so that’s a good jumping off point- station or parking is easy. Lots of gravel type easy ish surface riding from here towards glossop, Hayfield, or Macclesfield areas. I’d fancy a weeknight quick trip, and maybe a weekend longer ride at some point. Anyone have a route they’ve been itching to do? Sounds good to me! A week night is probably less appealing to me with work and all. But well up for spring/summer weekend overnighters. 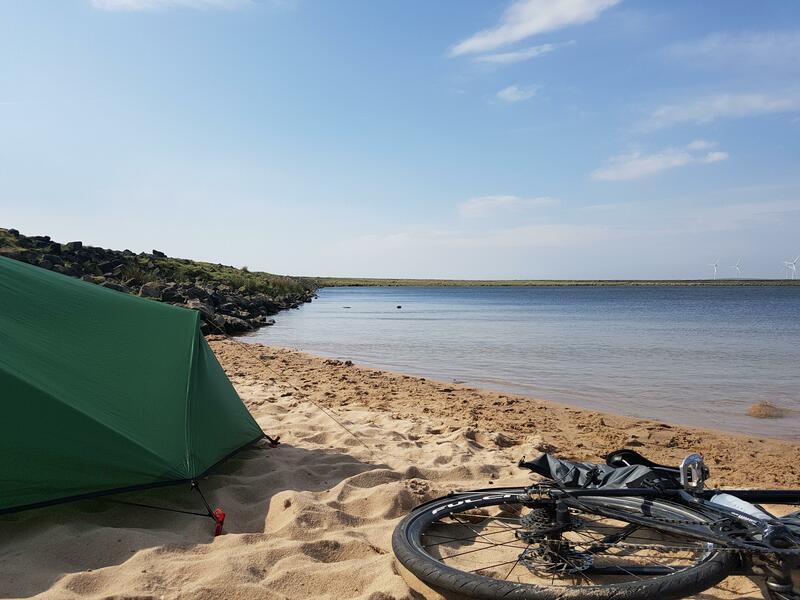 Hoping to get a MTB in the new year too for some more off-road bikepacking if anyone’s up for that? Still need to sort myself out with a cooking set up too! Sounds like a plan. If you go as a small group I guess less need to have everything as you can share. Also most places in the peaks you can be at a cafe for breakfast and coffee. We stayed there when we were aiming for Longridge Fell as an after work practice run for our Newquay trip. There were massive headwinds and I may have added a few unnecessary hills, so we got to Todmorden, had a beer then trekked up to Gaddens with a bottle of rum instead. Aye that’s the spot @snottyotter did you get any grief up there? No, but we arrived as the sun went down/was already dark and it was pretty cold and really windy in spring. There was a family that rocked up with kids and beers first thing but they were nice enough. Right, stay interested folks and we will reconvene in the spring! No point doing that, you'll just have to wait for me at the top of the hills. Longridge Fell is about 45 miles if you take the directish route, which is a lot of canals and bike paths through Bolton and Blackburn, I'm guessing wild camping would be fine near the tree line somewhere and apparently the views are amazing on a clear day, can see the sea, Wales and a bunch of other stuff. I'd planned a longer, hillier route round the side to get there when we stayed at Gaddan's but massive headwinds and fitting it in after work meant we couldn't get there before dark. Canal blast to Todmorden and across would probably be alright too for a different route there/back.